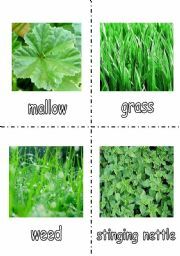 PERSONALITY QUIZ- What type of grass are you? I prepared this worksheet for my students who need practise on past continuous.I prefer comics because children loves them and enjoy learning with the help of familiar characters to them. First of the "Flying Words" series. Definitons and exercises about most challenging words for pupils such as "Adopt-Adapt-Adept..." Includes 3 parts: "MATCH- FILL IN THE BLANKS- MULTIPLE CHOICE" Anwer key is available. 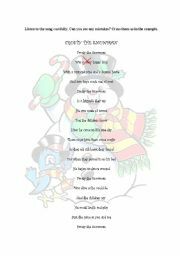 Adapted from "Hot Words by M.Numan KANAR-Erkan �NLER"
What are the smurfs doing? 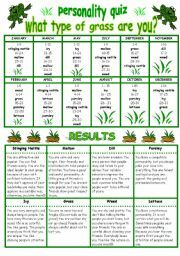 A beneficial worksheet (2 pages)for the practise of present continuous tense. 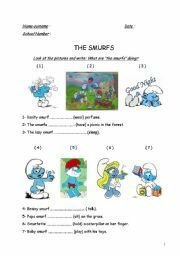 4 in 1:This a 4 paged worksheet about my favorite movie Nim�s Island.The teachers who prefer movie lessons will like it.Make your student watch the movie first and then give them worksheets to complete.I hope they will enjoy as much as my students do. 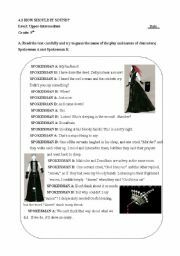 worksheet about speaking intonation and requires role play skills.enjoyable for your students and suitable for communicative learning.Because I am a fun of William Shakespeare I prefered to work on his wonderful play-Machbeth.i hope you will like it.answer key is available. 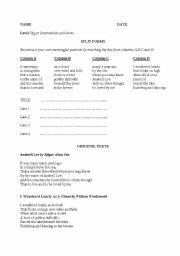 when you are teaching literature this worksheet is very useful for developing studets�s creativity making them aware of popular poems in literature and also help to discover the talented studens. 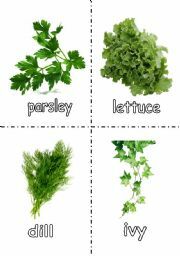 a useful activity to help your students develop listening skills and vocabulary.you can also add extra stages for high-level students such as blanks after each 7 words.